Ill-formed and poorly executed policies, combined with a lack of control, education and accountability, weaken companies. The headlines that result from these errors can destroy brands and balance sheets, obliterating shareholder value. Growing compliance issues are creating attention-grabbing headlines around the world. For enterprises, there is a state of urgency that is not going away any time soon. Much of the risk, however, can be prevented with proper oversight and the right compliance effort. According to MarketsandMarkets, the global Enterprise Governance, Risk, and Compliance (eGRC) market is expected to increase from $19 billion in 2016 to $38 billion by 2021. This is an attractive enterprise market that is ready-made for a software platform that provides a comprehensive solution to existing challenges. 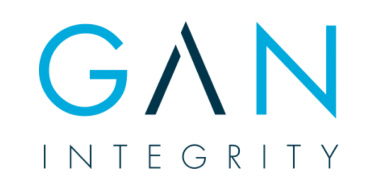 Thus, MissionOG is excited to participate in a $9 million financing for GAN Integrity to support the company’s customer deployments and expand its capabilities in this rapidly growing market. And the critical need expressed by this executive is not unique. To meet the needs of the market, GAN provides a comprehensive compliance management solution. This unique platform reduces corporate risk and eliminates thousands of hours of paperwork. The cloud-based software suite transforms the way global brands manage compliance by consolidating critical compliance apps including training, policy management, third-party due diligence, whistleblower hotline, case management, and reporting into a single, easy to use platform. Why did MissionOG partner with GAN? It’s in their DNA – GAN runs the GAN Business Anti-Corruption Portal, a well-respected and comprehensive tool to discover industry best practices. GAN provides an ideal opportunity to execute on a key investment theme for MissionOG: An industry-specific SaaS platform that creates meaningful efficiencies within a market that is typically slower to adopt technology solutions. We are excited to work with the GAN team and our co-investors Edison Partners, Cultivation Capital, Chicago Ventures and NorthCap to take advantage of this attractive market opportunity. If you are responsible for compliance and have not yet seen the GAN platform, please take a look. Your company and shareholders will thank you for it.